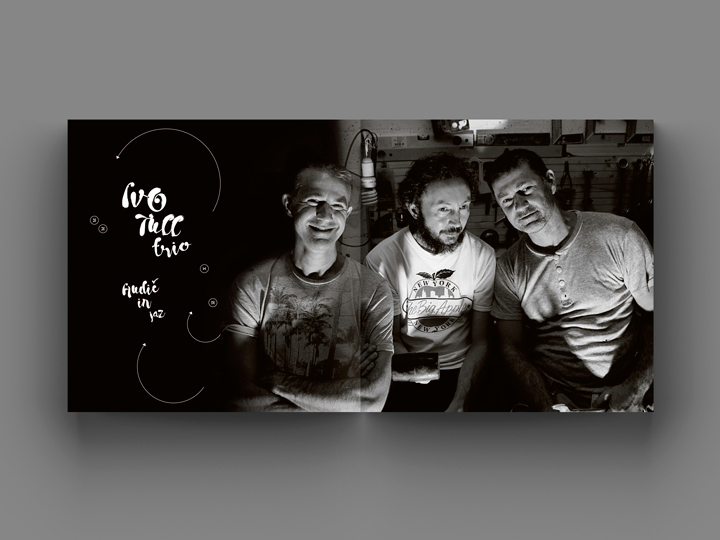 Ivo Tull is a Trieste (Italy) based blues guitarist. 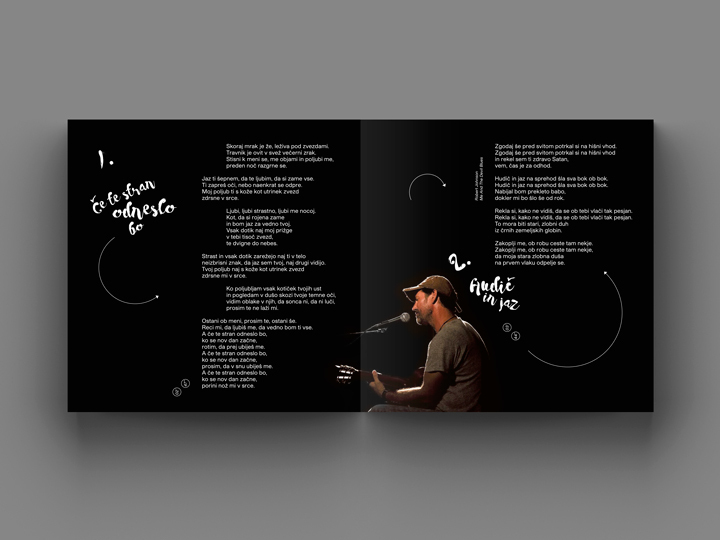 In love with the ‘Delta Blues’ rhythms and style, he deals in his first full-lenght album with those classical genre standards, but mixing them with pop influences and Slovene language lyrics/songwriting. 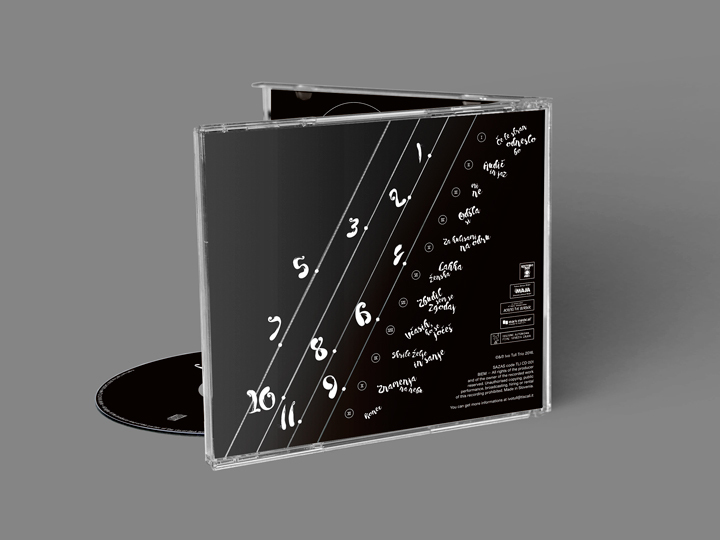 The result of this accurate musical experiment is a lovable and easy-to-listen groovy album, for which he asked me to design the jewel case sleeve and inlay layouts. 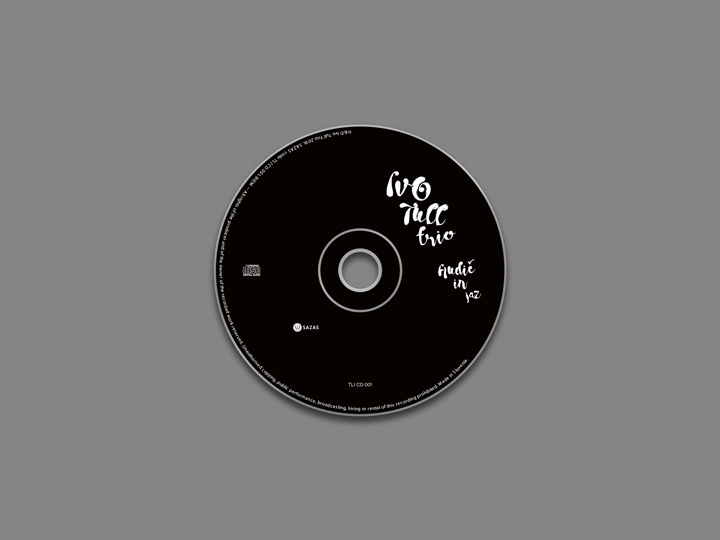 The album’s title — Hudič in Jaz — is the Slovene translation of ‘Me and the Demon’ and, on the contrary of the apparent mysterious and dread meaning of it, the drift of the musical/lyrical concept goes in a more funny, amusing direction. 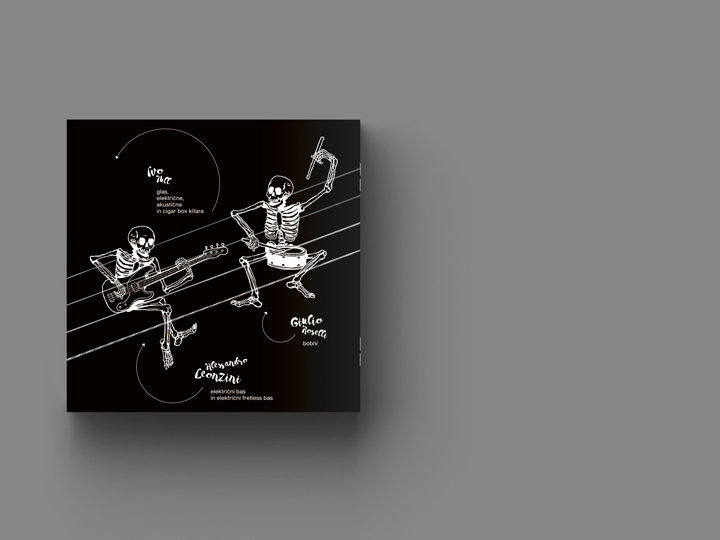 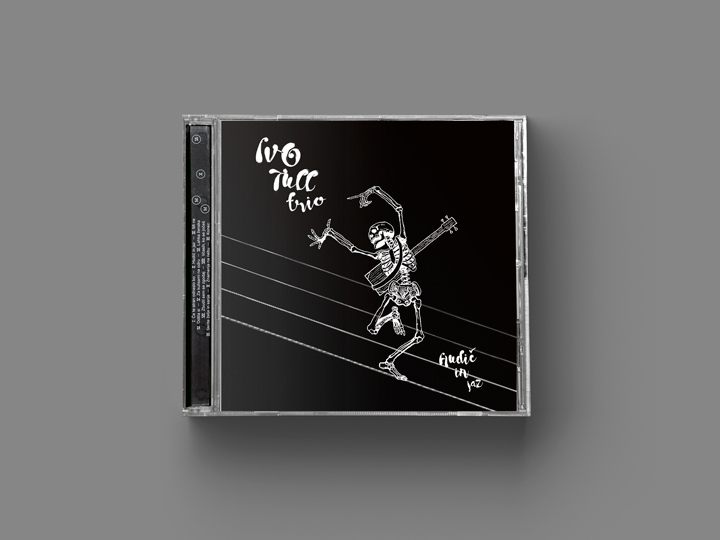 to represent this sketch I designed — onto a black background — some ‘hilarious’ skeletons (the final draft of them are opera of illustrator Michele Zangirolami) as musicians. 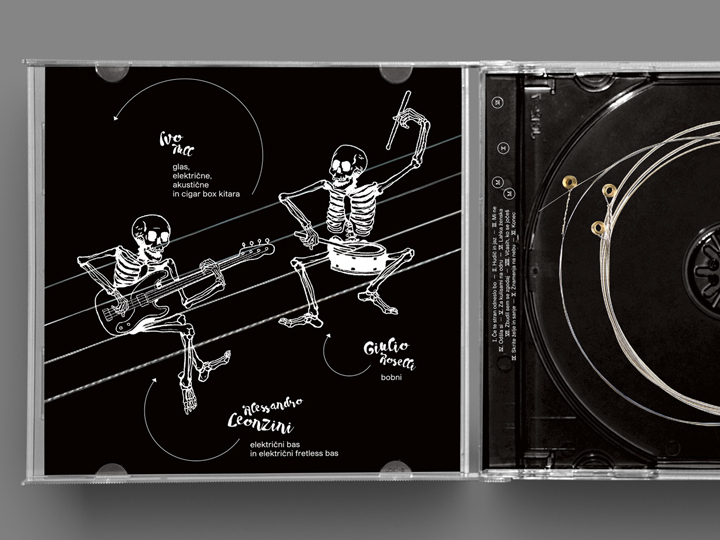 A sort of ‘Dance Macabre’ in a light-hearted bluesy style. 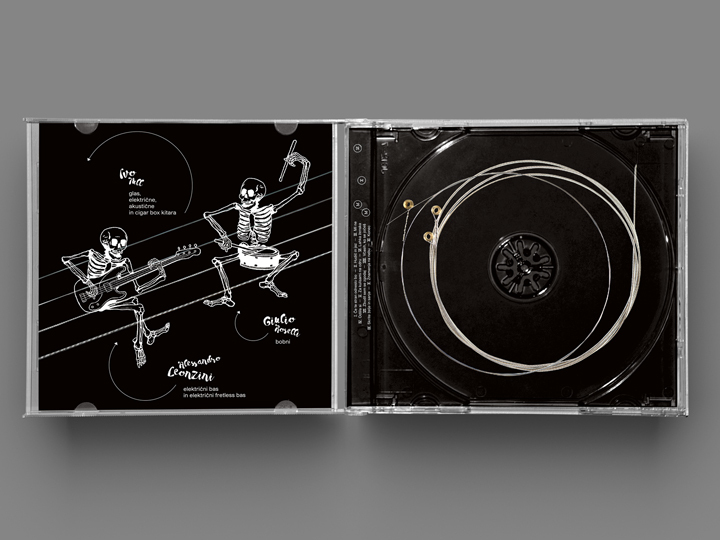 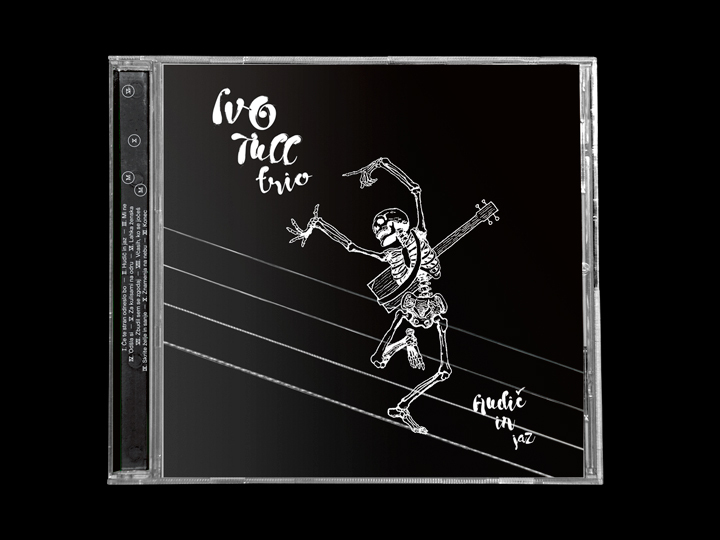 Three skeletons, one for each musician involved in this musical project. 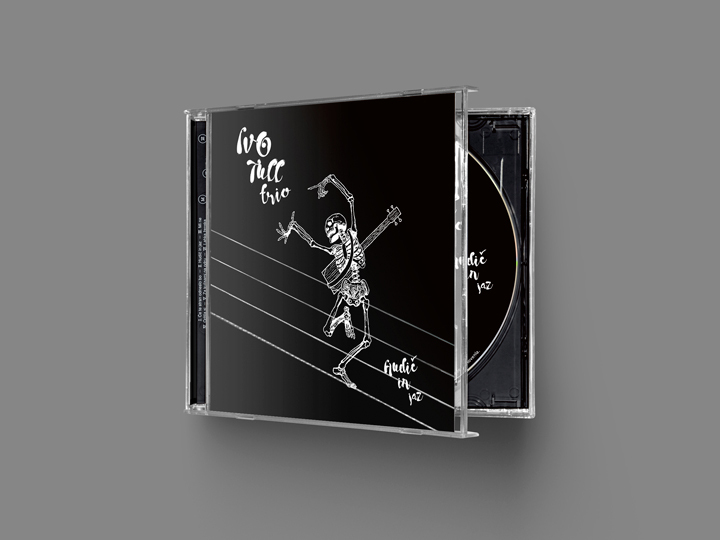 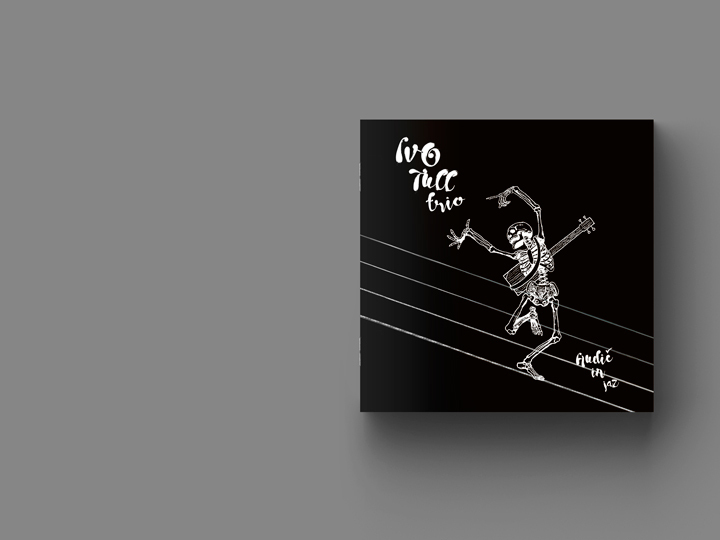 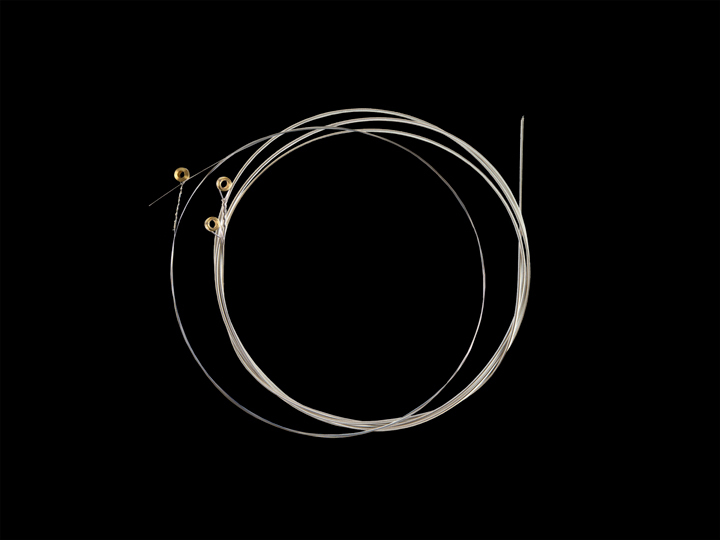 On the cover there is one — representing the leader Ivo — running on four guitar strings, funky-scared escaping from his own ‘demon’. 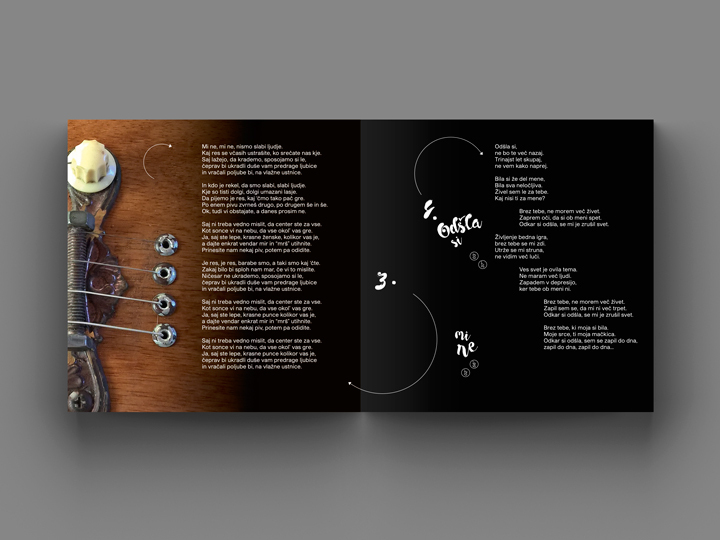 On the booklet last page there are the other two trio components playing their own instruments. 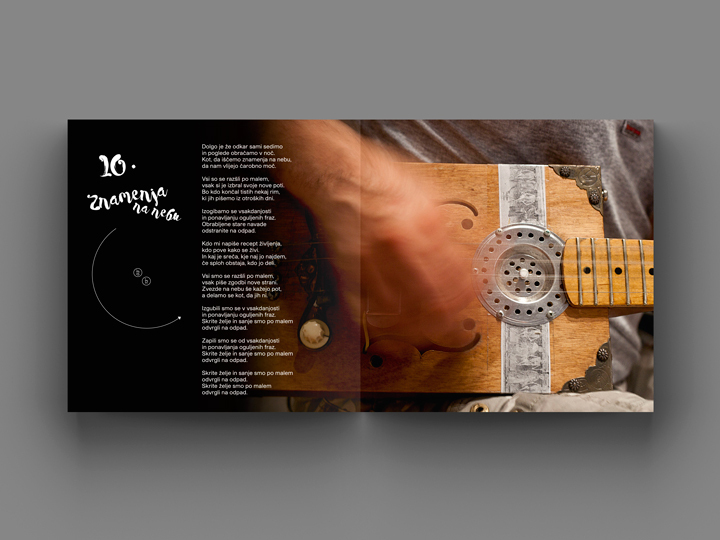 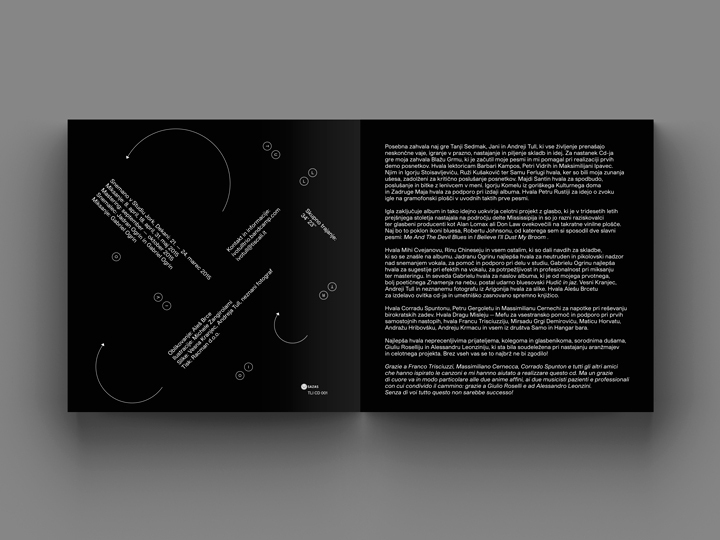 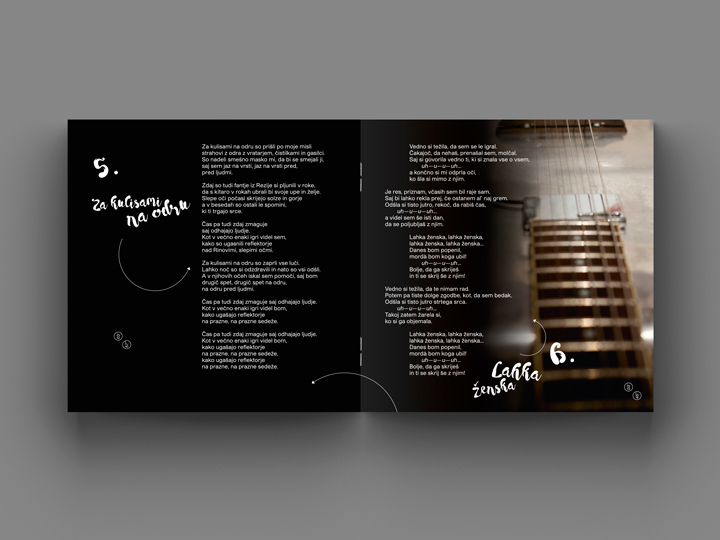 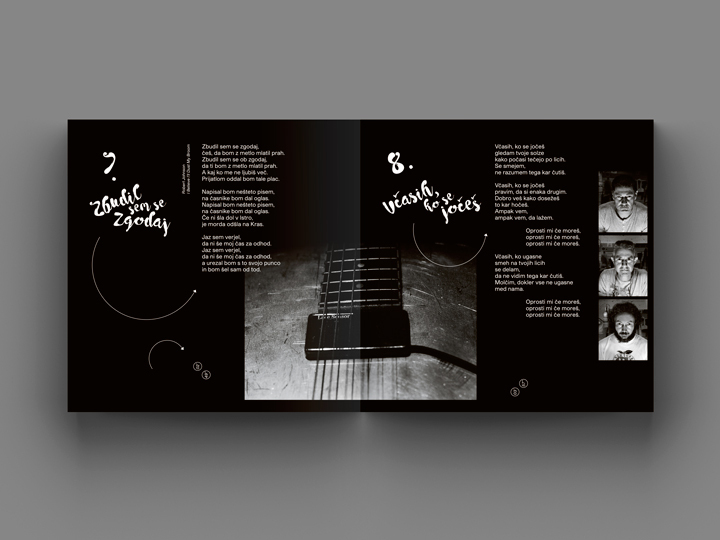 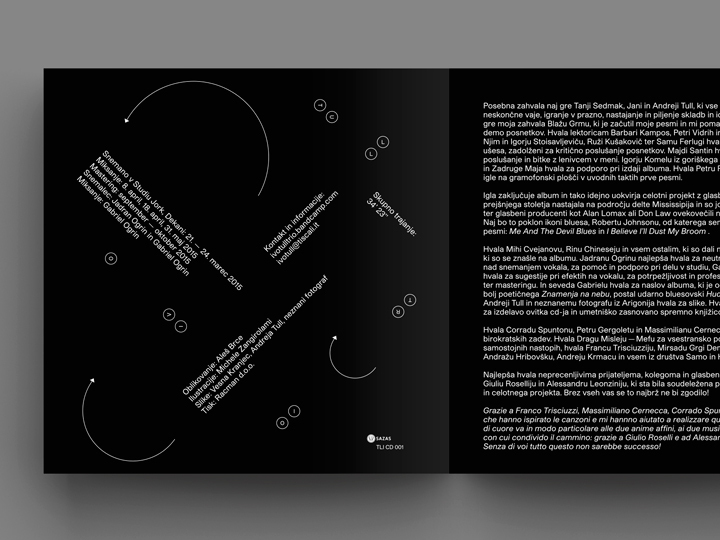 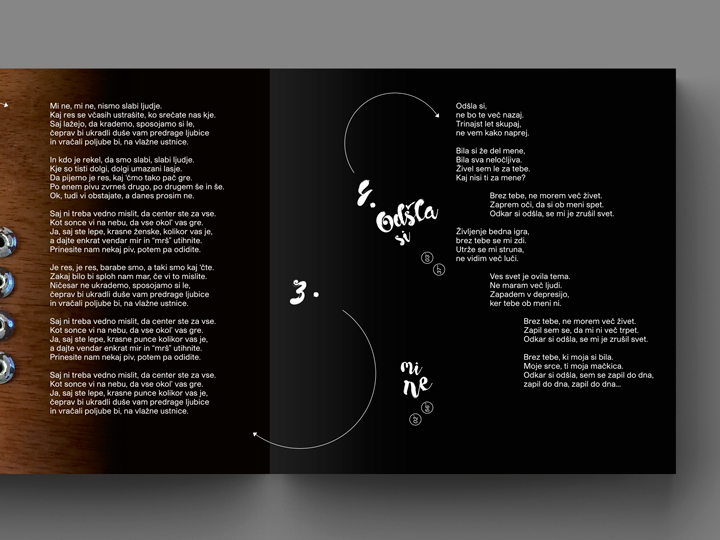 The 16 booklet page — printed on 150 gr. 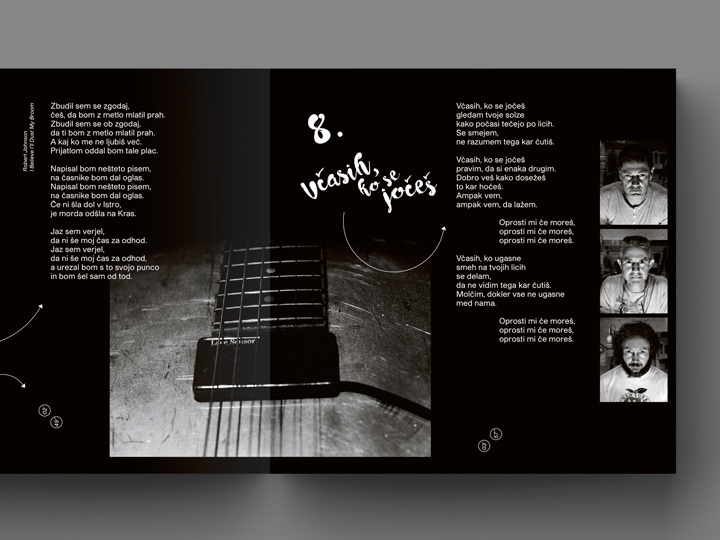 paper — features some band photos, all the lyrics, the recording informations and some details of the Ivo’s self-made cigar box and steel guitars. 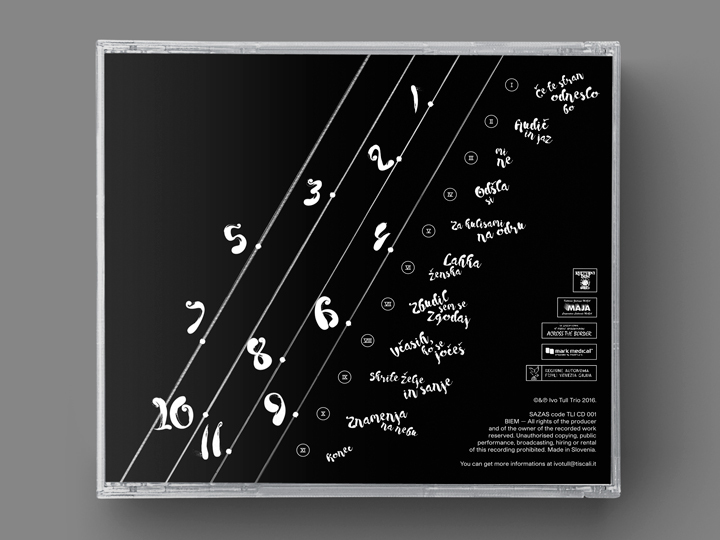 The graphisms used in the design (rounded arrows, contrast between handwritten and grotesque typography, roman numbers references) symbolize the sweet and powerfull airiness of the album, but — at the same time — make the whole thing pretty elegant and minimalistic.